Yep, another Book of Mormon Challenge is Needed! One of The Hub's fave quotes which I've been ponderizing. 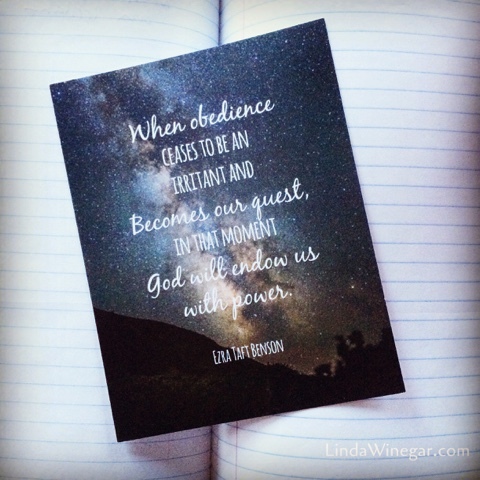 "When obedience ceases to be an irritant and becomes our quest, in that moment God will endow us with power." President Ezra Taft Benson as quoted by Elder Donald L. Staheli of the Quorum of the Seventy in an #LDSConf talk in April 1998 titled "Obedience." The first time I had a desire to attempt a Book of Mormon Challenge in 30 days, is when our first son, Finn, was born. The Book of Mormon is another Testament of Jesus Christ like the Bible, and written by people who lived a super long time ago who like us, struggle and have problems but knew Christ and how he could bless their lives if they obeyed, who lived on the American continent. THAT was THE most aggressive reading I'd ever done, for my personal scripture study, up until that point in my life (28yrs old) because I usually just read a chapter a day or less and probably finish in like a year or more time, which is ok, or which had been ok, until then! It was so daunting, so overwhelming, insane and crazy to think I could even accomplish reading the whole book in 30 days anyways. Just to give you a background, I fall asleep after I read just one verse of scripture, I have astigmatism in both my eyes, I fall asleep reading other books, I'm not a strong reader because I can't focus and stay awake long enough to become better at it, I hated being called on to read in class while in school because I knew I was slower than my classmates, I push myself to read magazine articles and not fall asleep and I could read then only as slow/fast as my 7yr old reads now, so to think I could even come close to accomplishing that goal was beyond impossible to me. However...because the Spirit prompted me, and I was going to be a new mother (after TTC for 7yrs, story on that later) I needed to obey because I'd needed all of the help I could get. And I know there are so many "Blessings Resulting from Reading the Book of Mormon! Plus these from other people around the world! And then even in this month's Ensign (Feb 2016 Ensign) there are a lot of articles but ONE article from one of my favorite people ever, Bro. 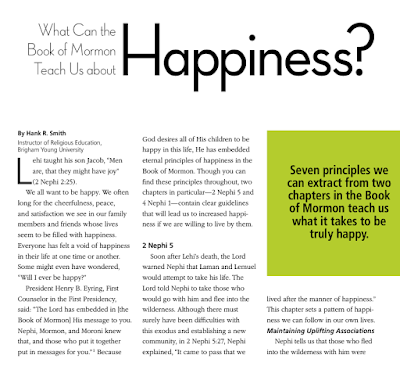 Dr. Hank Smith, about the Book of Mormon, titled: "What Can the Book of Mormon Teach Us about Happiness?" It was the first 30 days of his life! And I was able to do it! Amazing how the Lord truly does "endow us with His power" when we choose to obey a prompting. I now KNOW that is why I never experienced baby blues or got Postpartum Depression & Anxiety like I know new moms like me always get. I didn't know then, the reason I'd been prompted to do that, could be to avoid and overcome that kind of trial. I worried and stressed and it took our son a whole month to finally latch on because of my lack of experience and his falling asleep, he was losing weight after leaving the hospital and it made me, a new mother, SUPER ANXIOUS. Never once did I feel I couldn't handle it and didn't feel the cloud of darkness I've heard sinks in because I had a different focus. I had to read about 18 pages a day and the rate I was going, it took hours! So although that stressed me out to sit and nurse for 2 hours on each side and I'd fall asleep while reading, I knew the Lord was on my side and I knew I could do anything with Him by my side, and as I focused more on the scriptures the cares of the world faded. After all, I was reading THE parenting handbook, the mothers handbook, THE wife's handbook, THE life's handbook, The Book of Mormon! So, nothing else mattered. That being said... I feel a little distant from the Lord right now, my goal of reading The Book of Mormon in Spanish as of Jan 1st, isn't going as well as I'd planned. I thought I'd be awesome and I'd be uber excited, but I've felt the opposite, lazy and thinking it's too easy so I don't even stress about it because it's not very much so I think I can do it whenever and then I don't. Then it makes me sad that I missed it, but not sad enough because I still think it's super easy that I could easily catch up tomorrow and then I still don't read. :'( Ugh!!! Does that even make sense! It wouldn't to me except it does because I'm experiencing it right now! 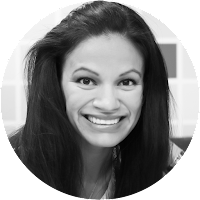 I'm a scripture reader + journal-er + citation searcher kind of gal. (Scriptures don't make sense so I need TONS of help when I read.) So it might seem intense but that's what I love and what I have found keeps ME close to the Spirit. My dining room table in the past has looked like our ward's library exploded on it, but it hasn't lately and I miss that mess! So... I'm going to need another Book of Mormon challenge here this week! Just so I can feel closer to the Spirit, so I can show the Lord I remember Him, so I can obey without needing a blessing desperately, but to arm myself sufficiently so that when the desired blessing doesn't come I'll be prepared and equipped to handle it, so I can be in tune with His will and not my own. I just need to feel closer because right now I don't and finally see how someone like me could potentially forget the Lord simply by ignoring those oh so simple yet impossible promptings to read the Book of Mormon again but with real intent. So this quote is my fave, because I know it's true, will I dare to make it my quest yet again? Thanks to The Hubs for inspiring me and to MadisenB for just being in-tune and in always knowing what questions to ask!